The main campus was formerly Suan Ban Kaew Palace, the personal residence of Her Majesty Queen Rambhai Barni, the Queen of King Prajadhipok or King Rama VII. After H.M. King Prajadhipok passed away, H.M. Queen Rambhai Barni lived here from June 1950 to June 1972 with the strong intention of developing this region of the country. With her sharp vision for the nation’s development, particularly educating the people of the nation. The Queen graciously donated her own residence to Thailand’s Ministry of Education in 1972 to establish an institution of higher education in the East. The aging Queen then took up her permanent residence at Sukhothai Palace in Bangkok. Chantaburi Teachers College was therefore established at Suan Ban Kaew Palace in 1972. The Queen kindly permitted the college to use H.M. King Prajadhipok’s royal insignia, ‘Sakdidej’ as the first college emblem for which all lecturers, staff, and students are deeply grateful. Later in 1985, Rambhai Barni College, with permission of His Majesty King Bhumibol Adulyadej, replaced the former name in commemoration of H.M. Queen Rambhai Barni. This is because Chanthaburi residents wanted to show their deepest appreciation, gratefulness, and loyalty to the late Queen who had acted for them in a myriad of benevolent ways. After that in 1995, H.M. King Bhumibol Adulyadej kindly renamed all state Teachers Colleges across Thailand to ‘ Rajabhat Institutes’ and upgraded their status and rights to those of universities. Rambhai Barni College was then changed to Rajabhat Institute Rambhaibharni. Finally on June 15, 2004, the official name was changed to Rambhai Barni Rajabhat University. Lecturers, staff and students are proud of our long and prestigious history as well as our tradition of excellence in academic growth. During the time H.M. Queen Rambhai Barni lived in Chanthaburi, the Queen worked for the benefit and well-being of Chanthaburi residents. Some of Queen Rambhai Barni’s projects included initiating demonstration plots for local orchards, improving poultry and cattle raising, developing new technology for dyeing reed, diversifying the weaving of reed-mats as the province’s major craft, developing a golf course, and founding a local hospital. Chanthaburi was fortunate to have H.M. Queen Rambhai Barni whose magnanimity and wisdom upheld the quality of life of all Chanthaburi residents. Rambhai Barni Rajabhat University continues to appreciate the late Queen’s benevolence in developing the nation. We follow in her footsteps and honor Her vision and we have made Her vision a reality. We have achieved our goal of rapid academic development. Originally, Chanthaburi Teachers College offered certificates and basic degrees in the various areas of Education. Even though we built our reputation with our professionally oriented Teacher Education, Rambhai Barni College soon offered other professional disciplines in addition to education. Now, over three decades of our experience, Rambhai Barni Rajabhat University offers programs in most disciplines at a variety of levels of education. Our original areas of responsibility for educating and training people designated by The Ministry of Education include Chanthaburi, Rayong, and Trat provinces which are all on the east coast of Thailand. Later students from other regions across Thailand and overseas students recognized our reputation together with the charms and attractions of the region and this has resulted in an increased number of students choosing Rambhai Barni Rajabhat University as their preferred place of study. 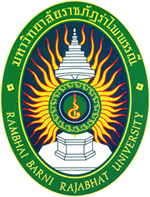 Rambhai Barni Rajabhat University is being expanded with more regional campuses. Our satellite campuses in Rayong and Trat provinces have become very popular with students and people from both the government and private sectors. The eastern seaboard has boomed for industry and demand for national and international higher education has increased. Thailand’s development has driven demand for qualified professionals throughout the country. The satellite campuses are providing individuals with an opportunity to gain new knowledge and skills near their places of employment. Many of the students who use the satellite campuses hold leading positions in business, schools, universities, and government. In addition to our academic strength, the main campus has also been improved to create a unique environment for learning. Beautiful scenery and landscapes enhance the pleasant atmosphere of the campus. The Queen’s old golf course has been developed into one of the best in the east. The golf course also adds to the campus beauty. The natural forest on campus has been conserved for wildlife and plant genetic conservation studies so there are plenty of trees around. Moreover, orchards on campus offer peace and tranquility for the students and staff. At Rambhai Barni Rajabhat University, one can enjoy the charm of a prestigious past, unspoiled beauty, and a pollution free campus. The location is unique and attractive with easy access to the spectacular sights along the East Coast: Chanthaburi, Rayong, Trat, Koh Chang, Koh Samet, and Pattaya – the world famous resort city- to name a few.